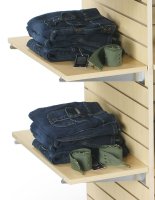 Slat Wall Shelving is One of the Many Slatwall Accessories We Have Available! Shop our Online Catalog for More Options! 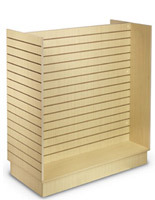 This slat wall shelving unit is a 12"w x 48" display shelf. Made from ¾" thick maple melamine, the slat wall shelving is solidly and durably constructed. 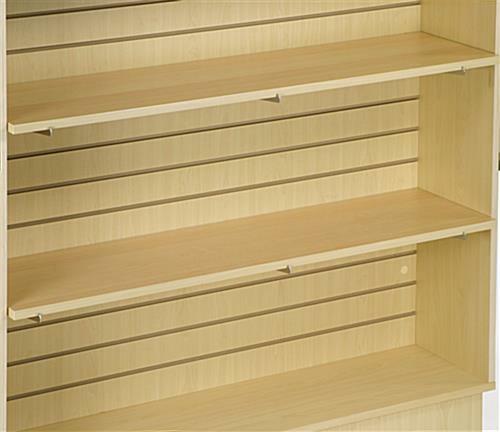 The display shelves, slat wall shelving is compatible with our SWH49EMP, maple slatwall display. Set up the shelves with ease by placing them on our 12" knife brackets (see related products at right). The slat wall shelving is more secure and stable if used with 3 brackets per shelf. Each of these shelves is finished on all 6 sides, for an attractive, high-end look. The maple finish on these shelves complements its surrounding décor, especially when paired with the maple H-gondola. The 48"w display shelves, acrylic slatwall shelves, and other slatwall shelving is well-suited for shops, malls, and other retail environments. Display various retail merchandise such as clothing, purses, candles, and picture frames in style! 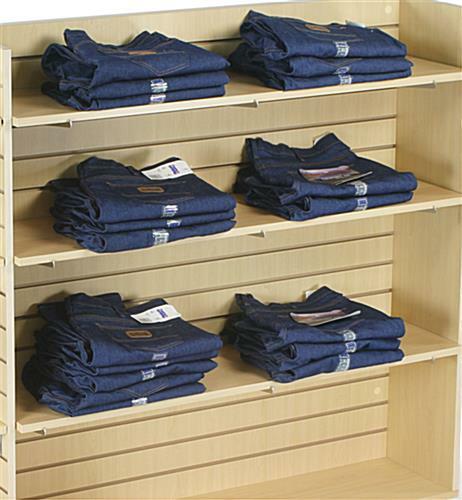 We sell this slat wall shelving in boxes of 5 to save on costs.